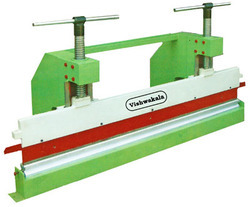 Leading Manufacturer of hand press brake machine, hydraulic press brake machine and mechanical press brake machine from Rajkot. We are offering Hand Press Brake Machine to our clients. 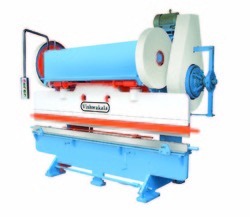 We are offering Hydraulic Press Brake Machine to our clients. Ram Adjust Motor 0.5 H.P. We are offering Mechanical Press Brake Machine to our clients. Model Ton Bending Capacity In M.S. ( Length * Thickness)(mm) Clearance Between housing(mm) Stroke Length (mm) Stroke Per minute Ram Adjust Shut Height Ram Stroke Down (mm) Table Height(mm) Depth of Throat (mm) Main Motor H.P. Ram Adjust Motor H.P. Dimension (L*W*H)(mm) Aprox. Weight Kgs. 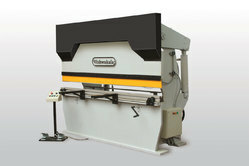 Looking for Press Brake Machine ?